Officially licensed DC Comics superhero boys caped crew socks. 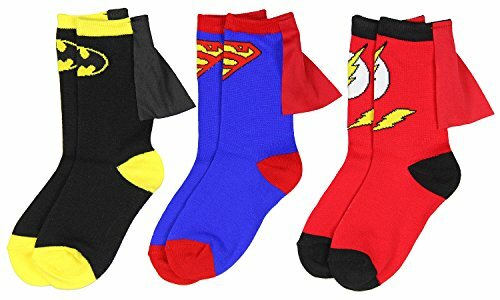 These youth sized socks feature Batman, Superman, and The Flash logo details with attached capes. Size 4-6 fits children 3-5 years old. Size 7-9 fits children 5-7 years old. Your child will feel like a superhero in these comfortable caped crew socks.